Ben Carson drops 7 points in Quinnipiac GOP poll. Ben Carson speaks at the International Church of Las Vegas on November 15, 2015. Last month’s terrorist attacks in Paris didn’t lead to the serious, sober political discussion that many people had hoped for, but they do appear to have given some Republican voters second thoughts about backing a candidate who concedes foreign policy isn’t his strong suit. The survey has a margin of error of 3.8 points, so Carson is the only candidate who saw his support change by a statistically significant margin. 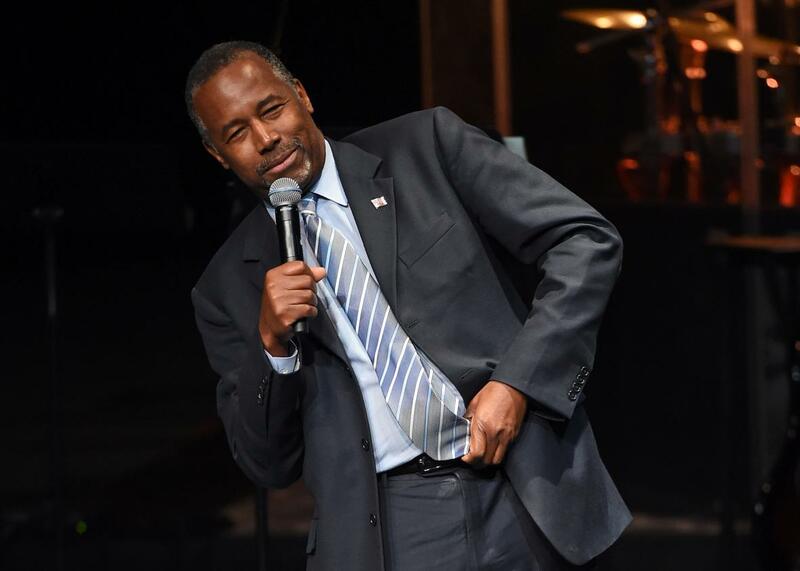 Prior to the Paris attacks, Carson had been on the rise for months and briefly pulled even with Trump in national polls at the start of November. That, though, brought increased scrutiny—and skepticism—of Carson’s personal tale of redemption that is at the center of his campaign. He was initially able to weather that media storm, but his problems were compounded when shortly thereafter the Paris attacks shifted the national conversation to foreign policy and national security. On the Fox Business debate stage only days before the attacks, Carson wrongly claimed that China had intervened militarily in Syria, a position that he later defended by suggesting he had “better” intelligence sources than the White House does. In a Fox News interview the weekend after Paris, he failed three times to name a single ally he would enlist to help fight ISIS. His foreign policy bona fides were then further diminished when one of his own national security advisers told the New York Times—on the record—that Carson had proved to be a painfully slow study on the topic. There have only been two major national surveys taken since the Nov. 13 attacks, so it’s too soon to say if this is just a bump (or pothole) in the road or if Carson’s candidacy has crashed. But the limited data we do have suggests trouble for the unlikely White House hopeful: Carson also saw an 8-point drop in the CBS/YouGov national survey conducted after Paris, and he has seen a similar post-Paris dip in Iowa, where he once held a nearly double-digit lead on Trump prior to the controversy over his personal biography. There’s still time for Carson to rebound—only about a third of the Quinnipiac respondents said they’ve made up their minds for good—but that will only get more difficult now that conservatives are taking longer looks at Cruz, who can challenge Carson for the evangelical vote, and Rubio, who can compete in the likeability category.